After escaping, Gordon eventually winds up in a secret part of the facility where he discovers that scientists had been “collecting” specimens from Xen long before this whole mess occurred. 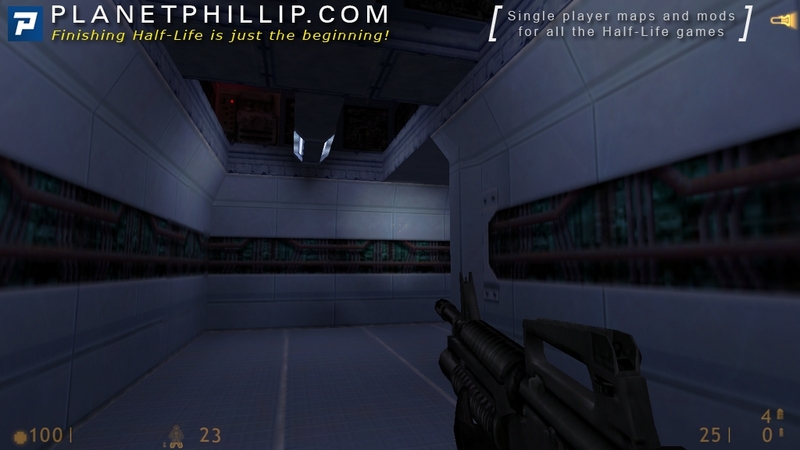 In it, Gordon Freeman continues to rearm himself against the HECU, and rejoins the battle against these enemies. 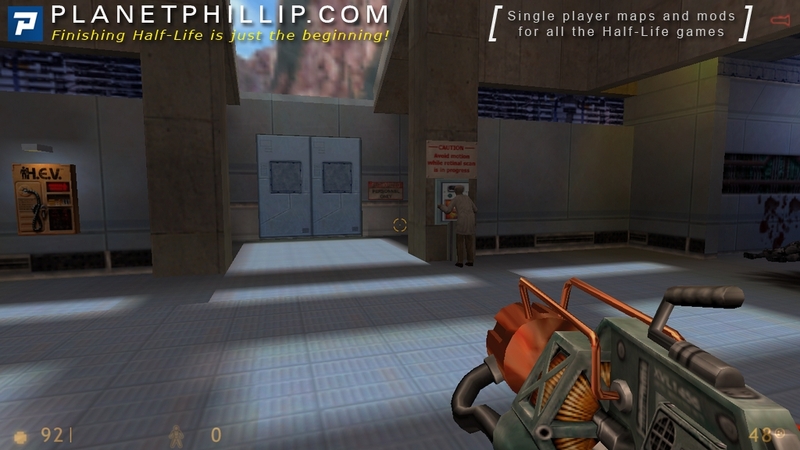 Gordon also encounters the alien military units, the Alien Grunts, and he finds one of the most powerful weapons in the Half-Life universe, the Tau Cannon, after a security guard accidentally blows up himself, a scientist, and a wall by overcharging it. Soon, he heads outside to search for the Lambda Complex. Did you kill Barney with the electrical discharge? Get past the electric fence without breaking the machine. Get Barney to open a door. Open the door to the surgical unit without going upstairs. This post is part of the The Replay Experience Questionable Ethics 2012 event. 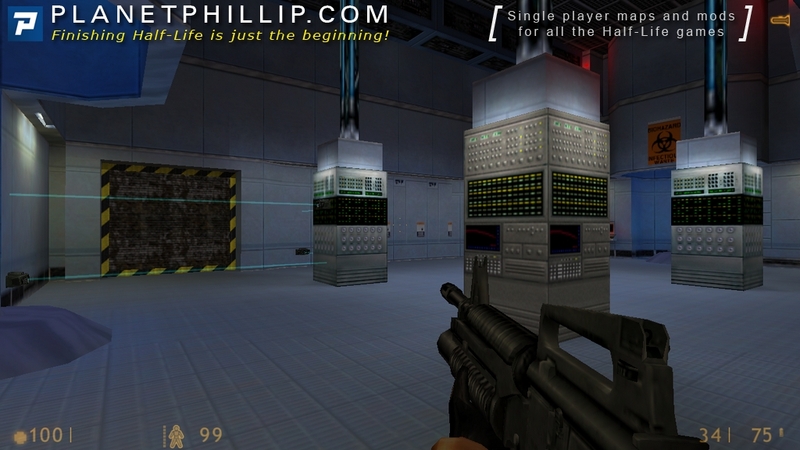 This is a chance to replay all the Half-Life games and discuss them based on our experiences since we first played them. 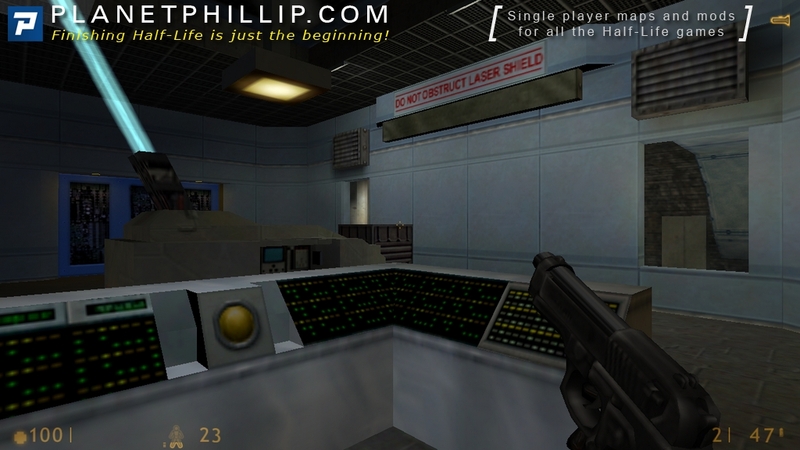 This level has inspired me to write two different articles, which I won’t spoil here, but is technically a “filler” but only from the point of view of location. I feel Valve wanted to move the player outside but in a gentle fashion, and they did that while also adding details to the backstory and making it a fraction darker. A nice combination of action and simple puzzle. The layout is detailed enough to enjoy without being overly complex. I really enjoyed the use of the textures. Some of the most boring and unimaginative corners ever can be seen this chapter. The thing is that with all that the level signifies it’s easy to ignore it. It’s possible to get onto the building right at the end of this chapter. There you encounter some invisible walls and it’s easy to fall/jump behind the fences on both sides of the entrance/exit. Once you are in there, you are stuck. I’m not saying it’s a bug because it’s your own fault, but it’s unusual for Valve to let you get stuck. Yes, I killed Barney, but by accident because I had him following me. – Get past the electric fence without breaking the machine. – Get Barney to open a door. – Open the door to the surgical unit without going upstairs. Everything’s not as it seems! Re: getting stuck behind the fences outside – it’s actually possible to escape from both sides. It involves jumping and moving up the steep rocks but it is definitely possible from both areas. Then I owe the readers and Valve an apology. I did try but not for long. Suddenly, we get into atmospheric laboratories which look similar to Anomalous Materials, but with blue walls. From the storage&maintenance room we enter some labs with equipment which sends headcrabs fly into the air. The aforementioned room contains cages and houndeyes which apparently broke out of them, showing that Xen research was secretly going in Black Mesa before the incident. 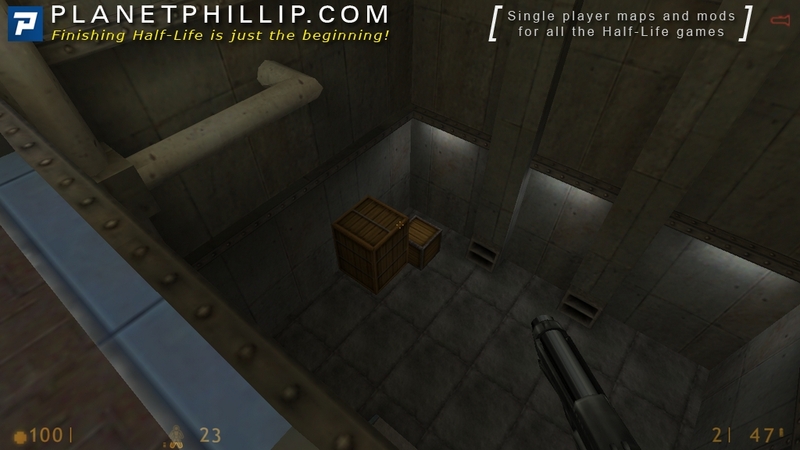 There is a magnum ammo box on the floor, which hints that to complete this without losing health we must quickly shoot from the magnum. A soldier greets us behind the open door. Behind him, there is a Barney who survived the encounter because for some reason the soldier just moved past him. 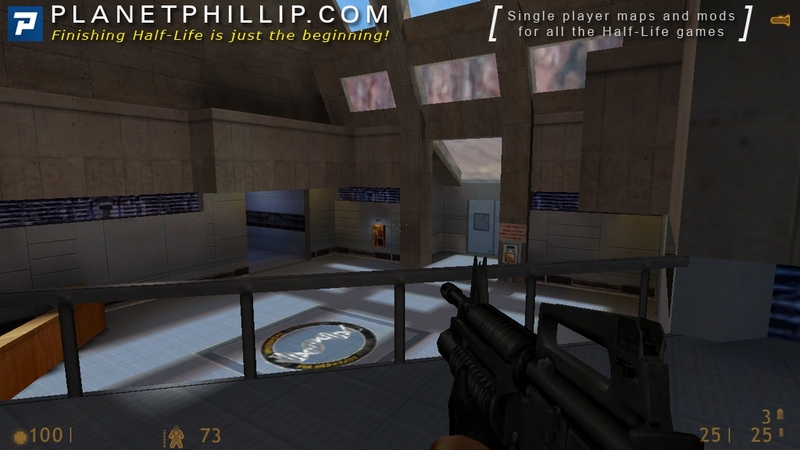 Barney tells about the next objective: open the exit. Alien Grunts in containers also tell about before-the-incident Xen research. The layout is similar to Office Complex, in a sense that we need to find a way around the locked door, but here this way around is just a long path through corridors and rooms, no vent-crawling. On the second floor, there is another puzzle with great feedback: turning on the laser. The laser goes through the mirrors and then above the ceiling, but we can see it through the grate. And there’s a funny hint: do not obstruct laser shield. Layout is different here: everything is open, and there are rooms that we can visit and press buttons in any order. Then we get to scientists, then to the entrance, and, finally, fresh air. And plenty of it is in front of us, in Surface Tension. Overall, this chapter is very enjoyable: design with nice variety of shapes and textures, layout with turns in various directions, and various different interesting battle situations. This is one of my favorite chapters. There are tons of possible paths, but still it’s very hard to get lost. we start up in a “dog” cage with an electrified fence, with 2 ways to escape. wither blow up the whole thing so the door opens, or jump on crates and cages. 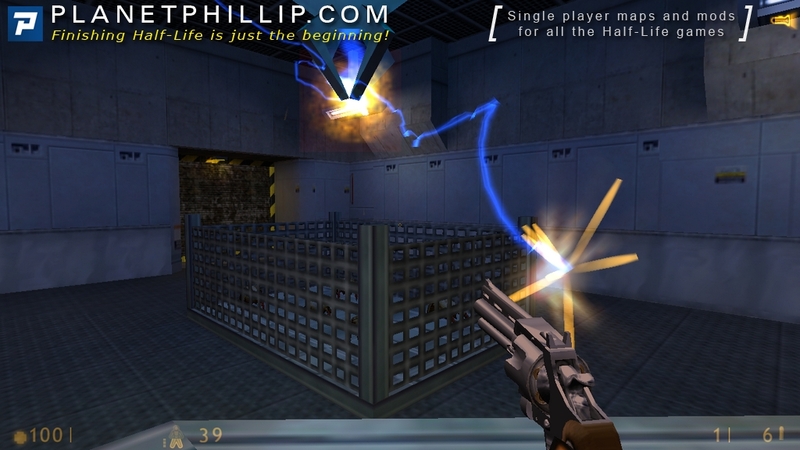 Or you can also do like freeman’s mind and noclip on the light. This clearly shows us that black mesa knew these creatures way before the resonance cascade, and was probably studying them. We encounter our first alien grunt, and we get a lot of time to watch it’s behavior before it breaks free, or we can help him break free faster if we don’t wanna wait. 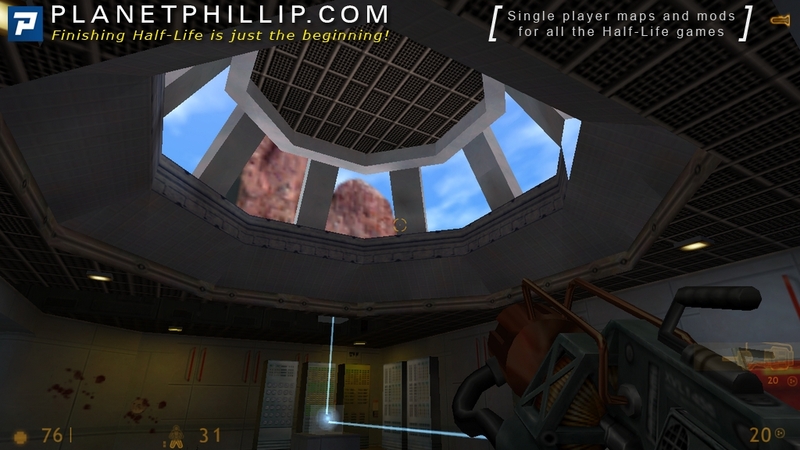 Next up is a room where we can test the electric field thingy on some trapped headcrabs, to show that black mesa didn’t have much concerns about alien life. as a punishment, if we use the electric thing we have to fight one more soldier, that spawns behind the locked door when you press the button. 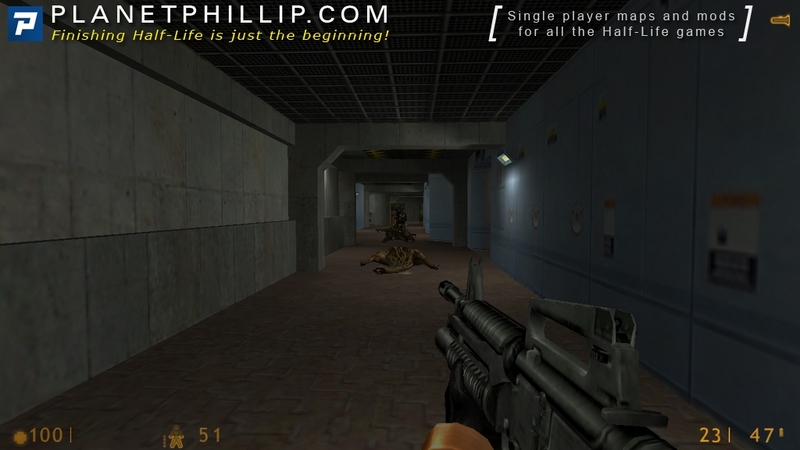 next we see many soldiers, that obviously got there a really small time ago, many locked doors, and some running around and going in circles, more killing, then a nice fight between the soldiers and some alien grunts that we can’t keep from happening since we must trigger it to continue. we get a glimpse at the malfunctioning surgery equipment, our later goal. we activate many lasers (someone is gonna miss they’re tv channels tonight :D) and blow up a wall. we find the scientists, and as we’re really nice we save all tree of them (right?) and bring them to the door, one of them opens it, then warns you about incoming danger outside, and you’re like “screw this I got guns” and go out. some turrets on the roof, a soldier that obviously brought some scientists there “for questioning” and some explosives. then a huge door and here comes the next level. A very sneaky Houndeye ambush at the start of the chapter, it seems like they all escaped their (ironically) dog-cages. I’m also not sure if you can get over the electrified fence without taking damage, but if not I always consider areas where you’re forced to take damage bad design. You meet the first Alien Grunt here and throughout the chapter you get the idea of why it was it is called Questionable Ethics. 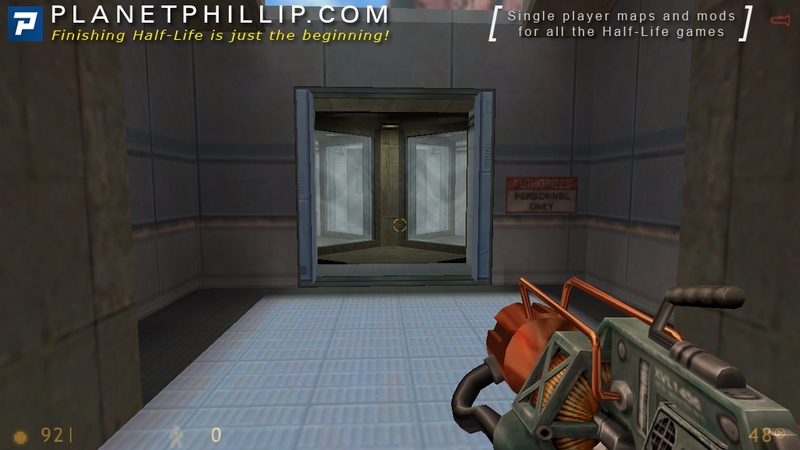 The chapter ended with my scientist friend being crushed by the automatic entrance door to the facility; seriously does Black Mesa not have any safety features? 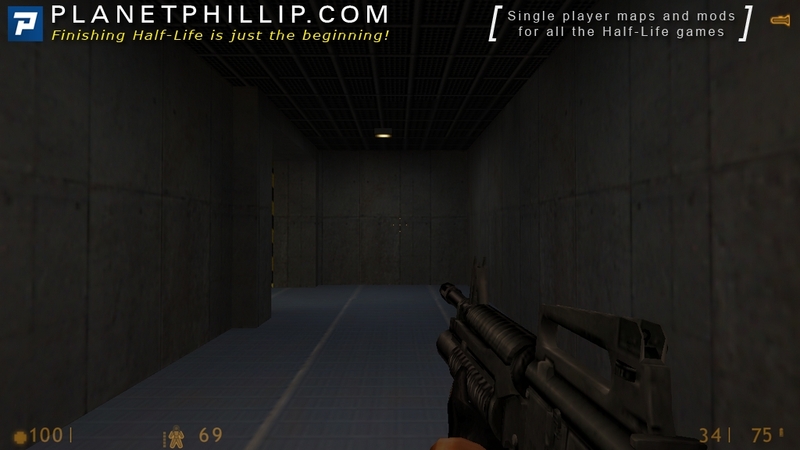 One of my favorite chapters in Half-Life. We’ve left the platforming of Residue Processing behind, and it’s back to the labs. But this time they look to be more modern, higher tech labs than we’ve seen before. 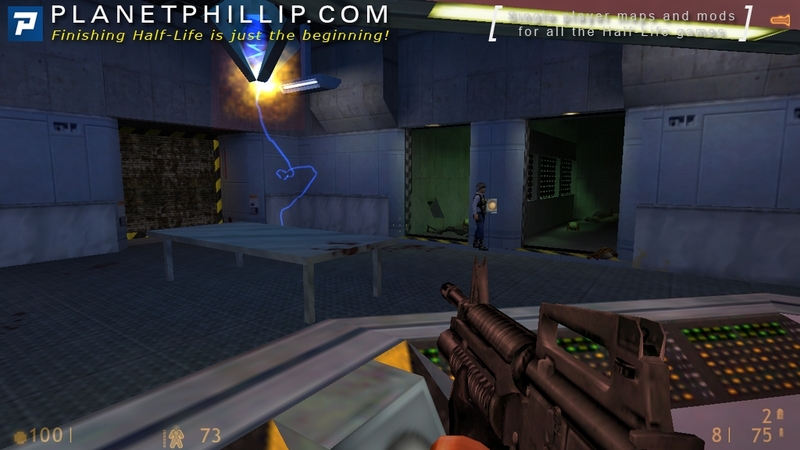 And in the opening areas of this chapter it becomes clear that Black Mesa not only knew about the border world but were actively testing the fauna – demonstrated by the houndeye cage with carriers, the headcrab pens, and of course the great alien grunt cell, where once again we’re allowed to observe a new enemy for a brief time before he escapes when we break the glass. First, let me say that I love the mapping of Questionable Ethics. The nice blue wall and floor textures look great when lit by pale blue lights, yellow lights, and ‘sunlight” coming through the windows. The layout is a nifty loopback design so that everything is interconnected, but not in a way that forces you to backtrack much at all. Second, I like the mixture of combat and puzzles. 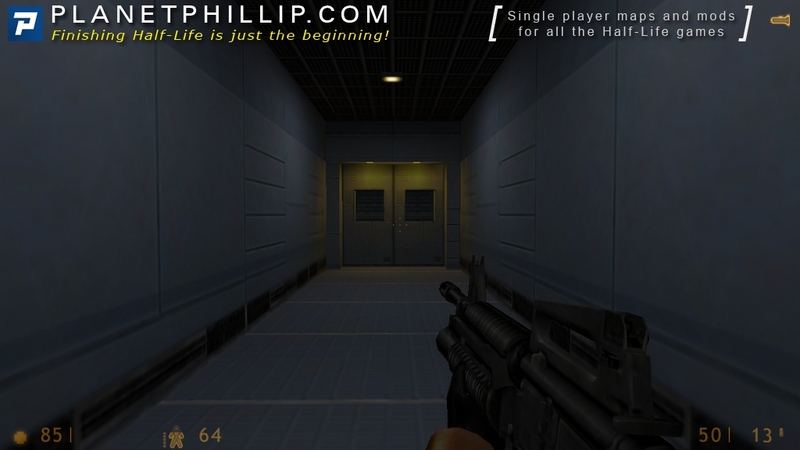 Once again like in a few earlier chapters, we’re shown our main goal (the exit) very early in the level. And it’s in a great-looking spacious lobby with a skylights that entice us even more to finally reach the outdoors, and hopefully stay outdoors for once. Barney provides some tips and reinforces that the door is the end goal here. But scattered throughout are smaller puzzles and sequences that really bring the place to life. The sequence with Barney overcharging the tau is not only humorous but conveys two things without stooping down to tell you outright: the tau can shoot through walls, and it can kill you if you overcharge it. Finally, I like the way you’re set up for what’s to come. You’re getting a wide variety of weapons back (plus new ones like the tau and snarks) and your new goal is outlined nicely by the scientist who lets you out: get across the facility to the Lambda Complex, where other scientists will expect you. It’s just enough intrigue to whet your appetite. Mapper’s Corner: There are quite a few interesting areas to examine in QE, but since I love headcrabs I chose the headcrab zapper to examine. 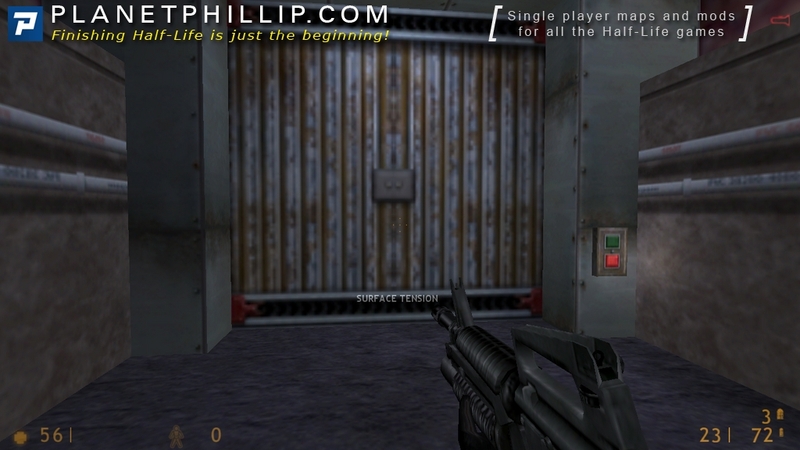 – Both doors (func_doors) to the room are closed until the sequence ends. 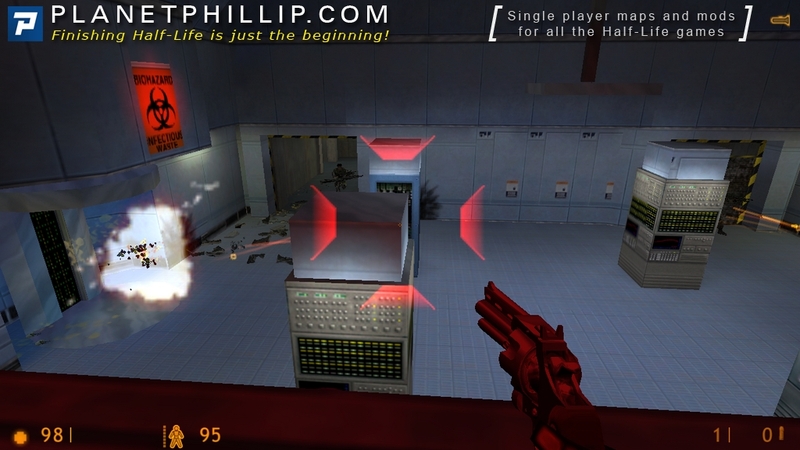 – A pulsing red light starts in the control room, along with an alarm sound (ambient_generic). 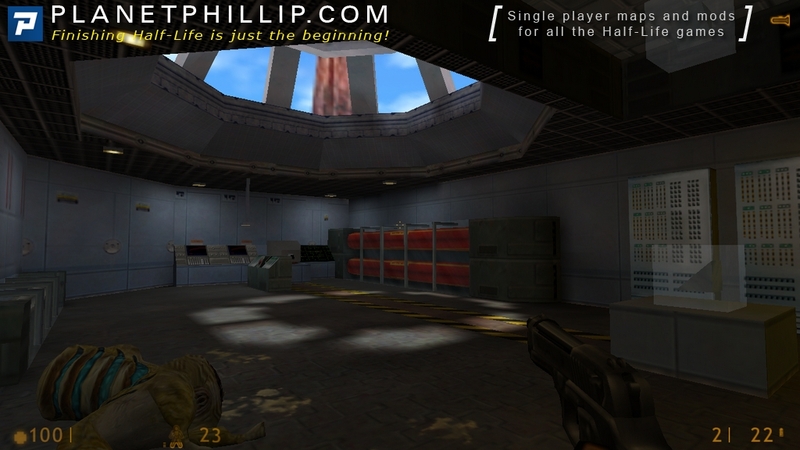 – The four arms (4 func_door_rotatings) rotate down from the ceiling. – A variety of effects (env_sprite, env_beam, env_laser) and sounds (ambient_generics) are used to build up to the big zap. – The actual zap is a trigger_hurt covering the whole room, set to very high damage to make sure nothing survives – in fact everything is gibbed. There’s no place to hide but the control room. 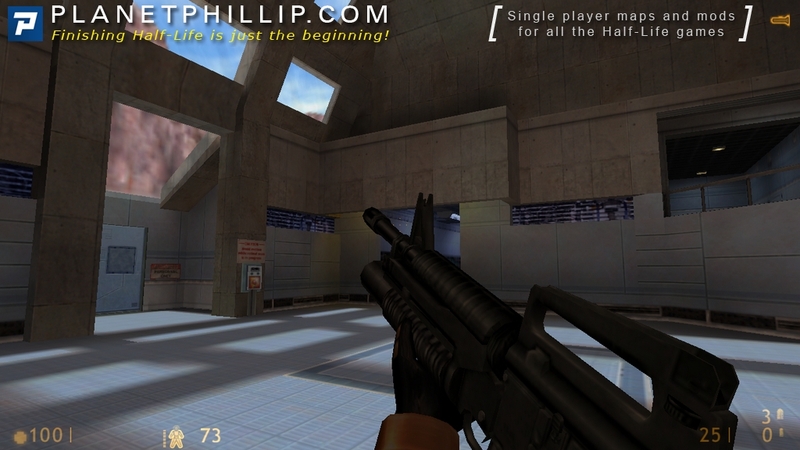 – The flash is done with an env_fade set to white and a short duration. – Then everything is reset to allow it to be retriggered – the arms return to the up position, the alarm and red light shut off, the doors open. – To keep us on our toes, a soldier is spawned outside the door via a monstermaker. In all, a nice sequence that lets us fry headcrabs. In an upcoming similar room we can also practice on Barney if we want. 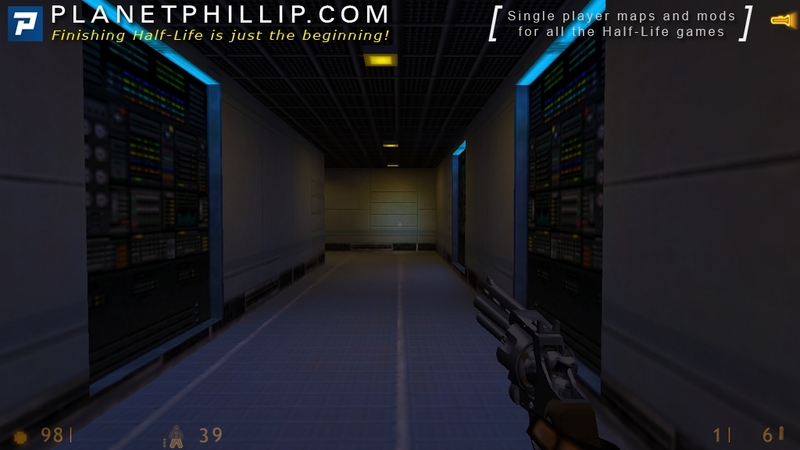 Now you get to see the disparity of Black Mesa: wonderfully clean lab building (because labs are supposed to be clean, right? RIGHT?? ), in counterpoint to what you saw in Residue Processing, where the real messes go to be hidden away from the world. Of course, the labs aren’t all halos and light: LOTS of live-creature experimentation going on here, likely some vivisection as well (given the surgery room and the “contained” alien grunts)–again, the disparity between the glossy exterior of Black Mesa and their lofty goals; and the reality of the place, which is geared toward creating new and unique ways of killing people… or critters (Tau Cannon/Gauss Gun, anyone?). And the critters are the source of plenty of live bait to test this stuff on; stuff like this makes me wonder how far we truly have come from the mud, or do we just make it glossier-looking to cover our baser instincts and actions? Either way: we have a job to do. And along the way, we see the effects of the Resonance Cascade throughout the level, and the consequences as well. And poor Gordon gets to try, once again, to get the fvkk out of the damn place. Excellent level, tho. And can be quite scary at times. Five words: I gotta press ANOTHER button?? This chapter, ticking at just 3 maps, is sort of a ‘recovery” chapter. You are given the opportunity to rebuild your arsenal, including the powerful crossbow that was taken earlier. You’re even able to improve ur weapons with the first overpowered experimental weapon in this chapter. All in all I think this chapter, while short, is meant to gear you up for the next one, Surface Tension, which is undoubtly very long and quite difficult. The weapons you accumulate here in this little lab will be much needed once you venture outside. 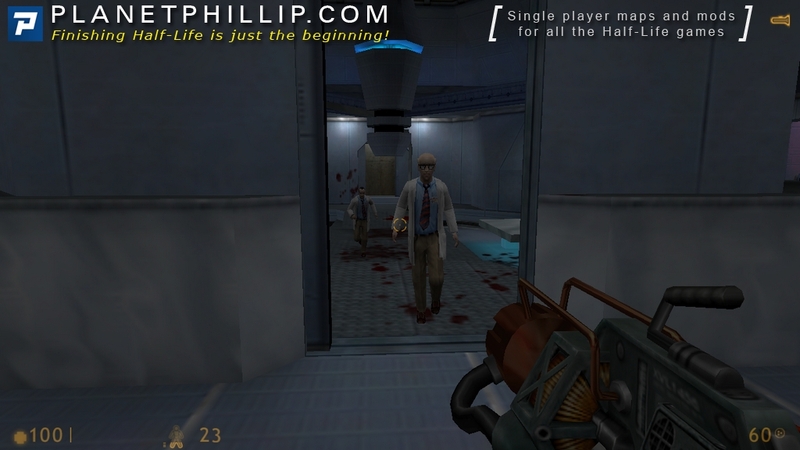 After having played this through oh so many times over the years, this time the three scientists in the “surgical room” all repeatedly committed suicide, time and again as I reloaded…. In all the years I’ve played through this has never ever happened before. On one attempt I managed to stop the spinning buzz saw things in time, but instead of reverting back to commandable entities and following me to the iris scanner to let me out of the building, they simply ran around like headless chickens trying to find an odd living soldier to (again) commit suicide….. I got fed up with this and reloaded the chapter from the beginning, and they behaved exactly as scripted. We rise out of the dark pit where we last left off, only to find ourselves confronted by a pack of angry houndeyes. We quickly take care of them – but what is this? Plastic crates used for storing animals? 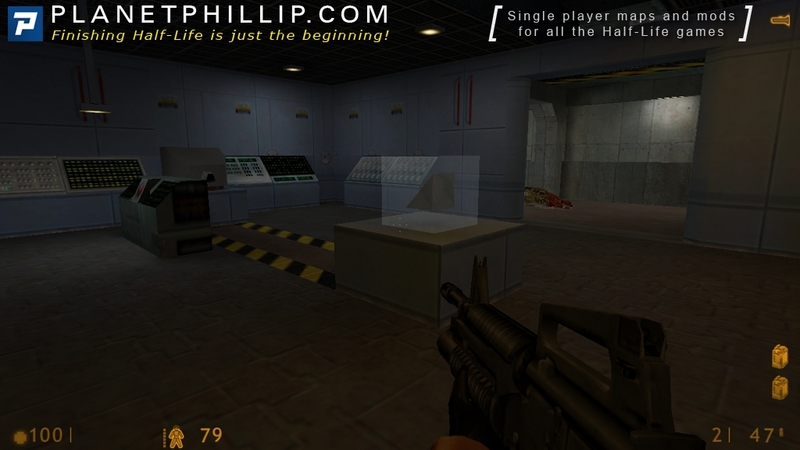 We haven’t seen a single domesticated animal in all of Black Mesa, so what’s all that about? Then we take note of the electrified fence, and then we realize what the houndeyes were doing in there. Ohh, boy. 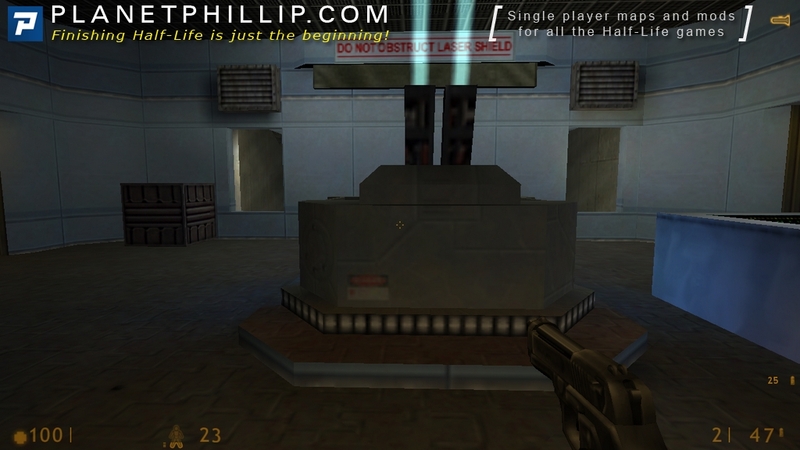 Questionable Ethics represents a turning point within the narrative progression of Half-Life 1. 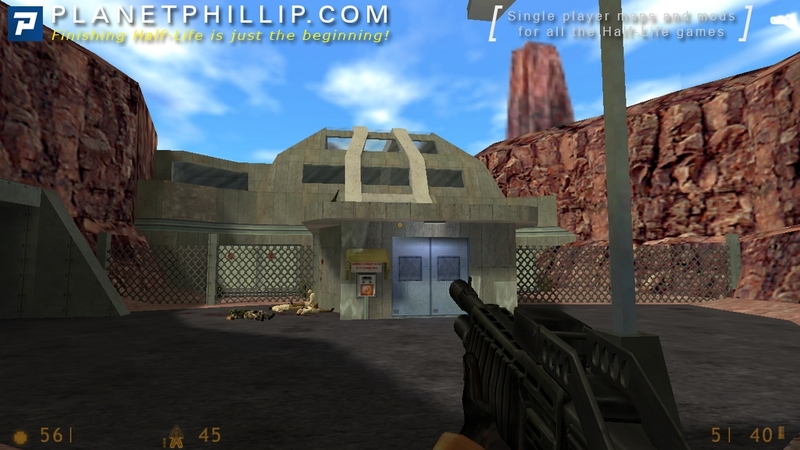 Not only are we now on the surface, but we are also in one of Black Mesa’s most high-tech and classified areas: the Advanced Biological Research Laboratory. 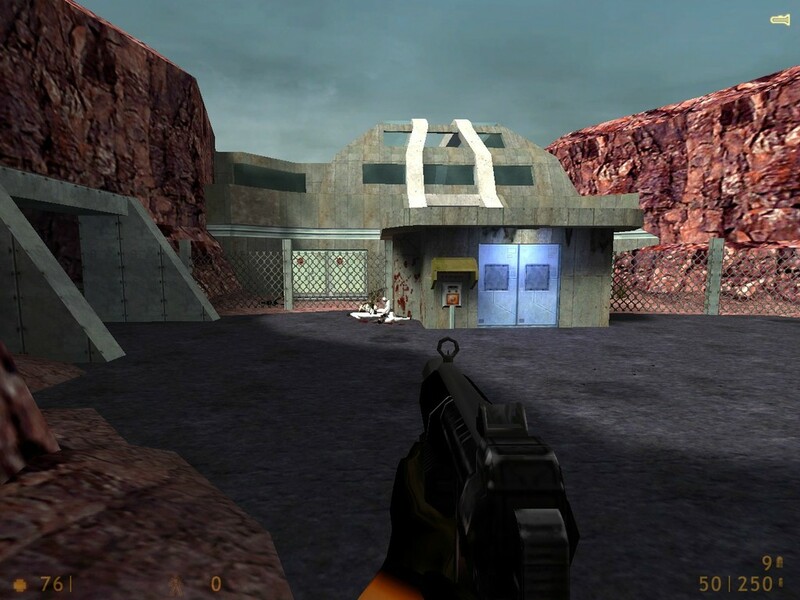 We’re in the immediate vicinity of Sector G, and our goal is now almost in reach: the Lambda research complex in Sector F.
It is revealed that the Black Mesa Incident did not represent first contact. Instead, researchers had been selecting, studying, and experimenting on these creatures long before the accident took place. We haven’t seen the big teleport just yet, but by now we are starting to imagine that these particular creatures had to have come in through somewhere. But no matter how they were brought here, they’re certainly the prisoners in this lab, and that is the chapter’s namesake: the questionable ethics of the scientists experimenting on the borderworld species. And it’s all revealed to us in a very clever, non-linear fashion. Government forces have already taken control of the entire lab, but their movements through the building are completely erratic, and there’s a few survivors still trapped in the labs. The soldiers” silly and bizarre strategy (as in their movements, placements and patrols through the lab) could be nothing more than one big unintentional oversight on Valve’s part, but I like to think it could also be an intentional attempt to make the “human grunts” look like idiots. Gordon, all science personnel will be terminated until you surrender. I always found this one very interesting. Clearly, the army is starting to get desperate, and is even starting to resort to threats and blackmail in order to subdue Gordon. What a threat we must pose to them, by this point! Shame it was ultimately left unused. The laboratory’s layout is okay, but it feels more like a game level than an actual biological research building. Don’t get me wrong – it plays well, but if you put an actual researcher in there, he’d probably be filing violation after violation. Where’s the decontamination rooms, the security offices, the admin offices, and the maintenance areas? 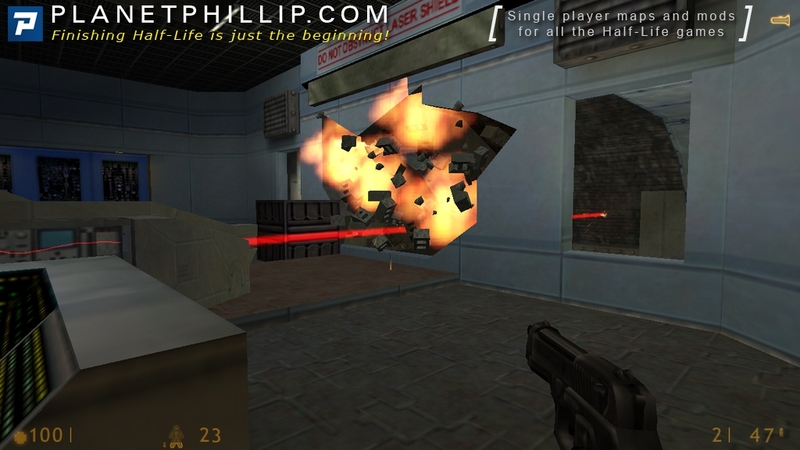 Just to further illustrate – my favorite bit is where, after using the first zapper/sterilizer machine to vaporize some headcrabs, a soldier pops out and starts shooting us. As we go down the same corridor he ambushed us from, we find he would have passed right next to a security guard. Now that is an oversight, alright. 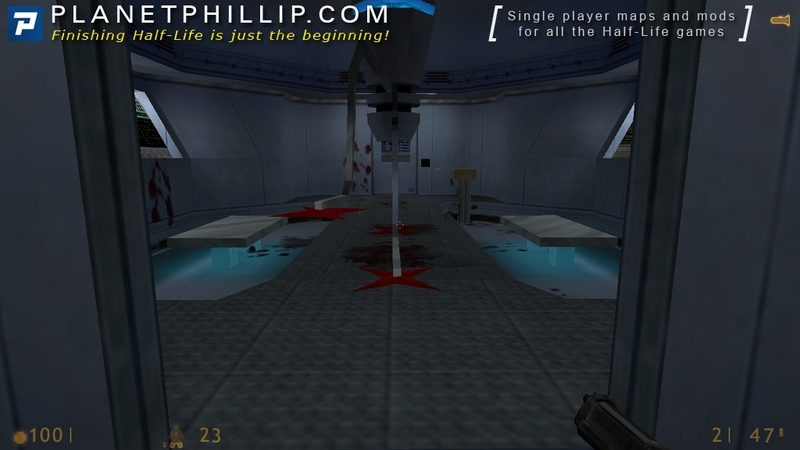 Most of the actual level design is pretty well-done, though. Most of the rooms are inter-connected, which makes for some interesting and enjoyable navigation. While the decor is sparse and there is very little detail overall, the experiment and containment rooms themselves are pretty neat, creative and original. Particularly, the infamous nightmarish surgery room. And there are some excellent combat setpieces here, particularly the sequence on the second floor. 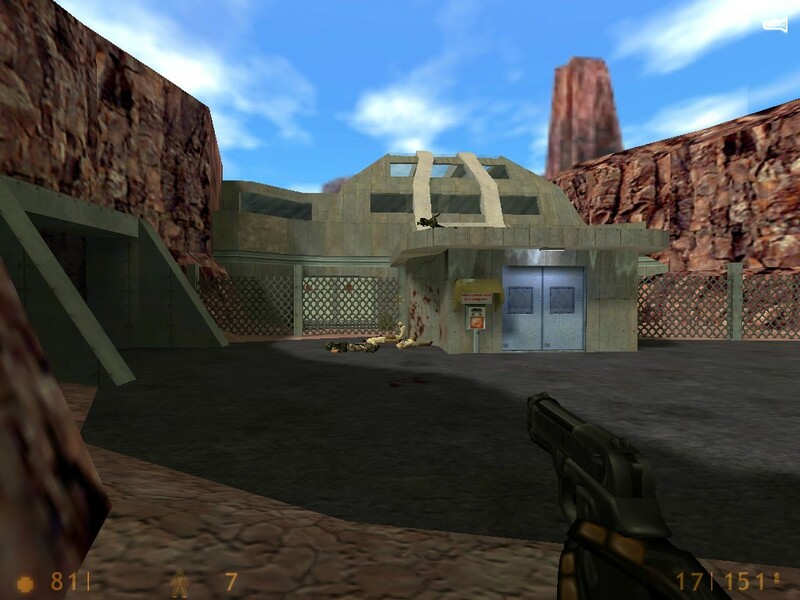 We get most of our weapons back as well, so there’s lots of great combat here, accompanied by one of Half-Life’s greatest and most memorable music tracks ever – Nuclear Mission Jam/Something Secret Steers Us. Great stuff. 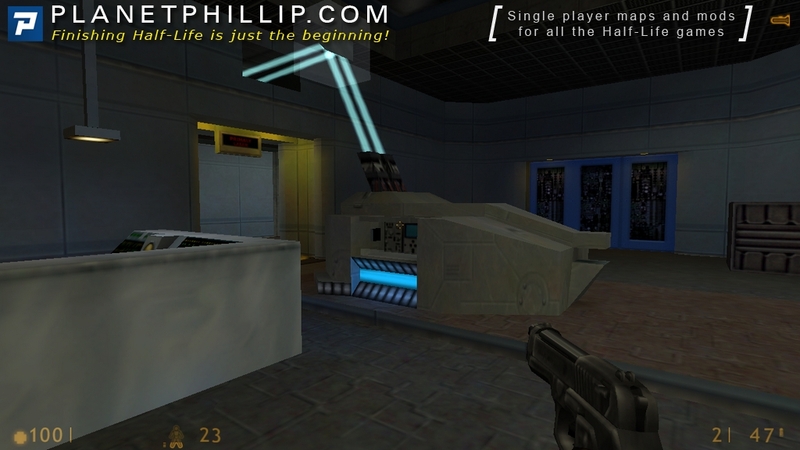 In conclusion, Questionable Ethics features some of the best gameplay, level design and non-linear storytelling that the Half-Life franchise has to offer. A bit on the short side, but extremely solid overall. Five Words Or Less: Short, but extremely sweet. This is a very funny conversation between a scientist and another Barney about the powerful Gauss weapon. As it’s still a prototype you should indeed not overcharge it via using secondary fire mode too long or you’ll electrocute yourself! In this pretty nifty chapter we’ll also find some more weapons again including the AR, shotgun, tripmines, crossbow and the also new Snarks. Snarks are fun to use as they offer some nice strategies to get rid of enemy groups from a safe spot, for example it’s a good idea to throw them down from the observation area in the room where 2 alien grunts and soldiers appear after shooting one of the tripmines there. Now, it’s great to have them and use them wisely at several suitable spots in the game. 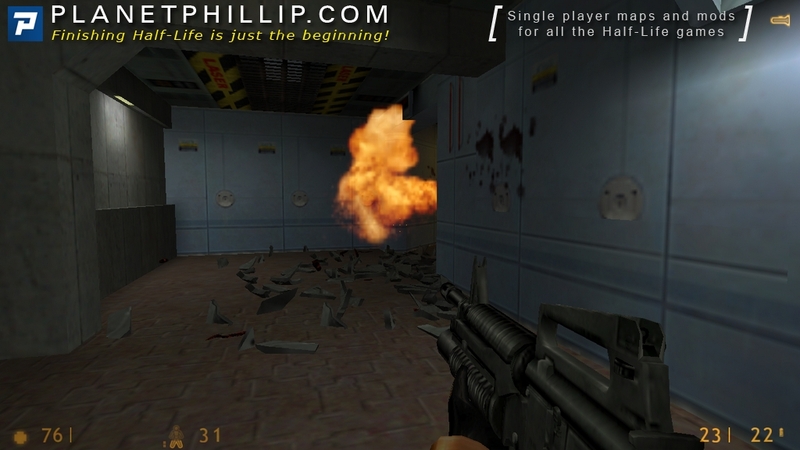 The start can be tricky, as there’s a group of houndeyes in a small room with less space to move and less ammo. Plus, there’s an electrified fence! Then we’re introduced to another, mighty alien species – the grunt. It’s big, brawny and dangerous with strong melee attacks and the hornet gun for longer ranges which sends out fireflies acting like homing missiles. They even can follow you around corners! This can be a nasty threat if you don’t eliminate the grunt quickly enough or hide in a safe spot. The blue walls look “cool” 😉 and the main hall of the complex is very beautiful, inside and when viewing the building from outside. However, this chapter is always fun to play! First challenge was always a given, didn’t know you could deactivate the electric fence til this day. 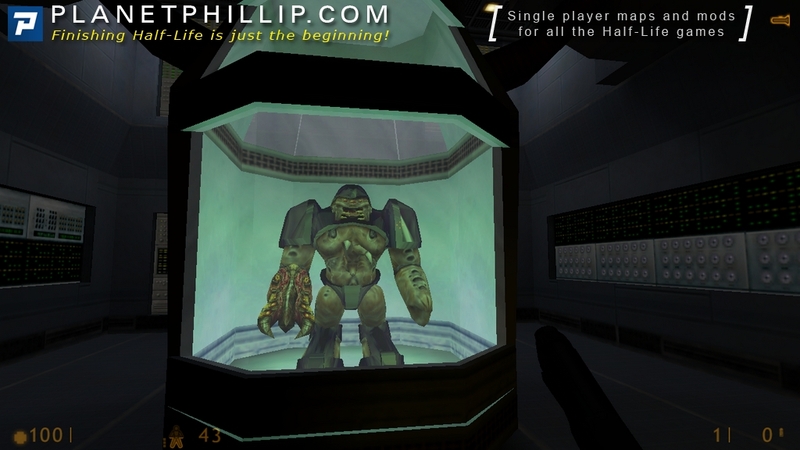 My first death in this playthrough was when I first saw the alien grunt and approached the glass to blow him a raspberry.. The next 1 or 2 deaths were my usual kill thyself with smg nades to force an autosave load for better tactics on follow-up tries. I tried, for once, to keep Barney alive throughout the entire chapter but failed so many times, I guess I lack the experience, hence the larger amount of time it took me to finish this, compared to the rest. At the final laser bit, I remembered how my newbish self desperately tried so many times to bring crates directly into the laser’s line of fire.. and how much I’ve grown in the next years up to the point of writing walkthroughs for others.